Install this browser extension get your image search back to normal. 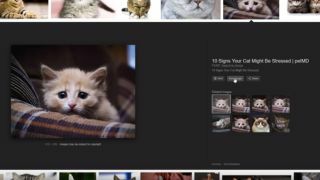 Last week saw a massive change to how internet users find and save images as Google removed the View Image button from Google Images. The decision prompted a huge online backlash, but a new browser extension for Chrome or Opera has already been released to get everything back to normal. Before last Friday, if you did an Image Search you could quickly open an asset on its own with a single click of the View Image button. However, a settlement between Google and Getty has resulted in new search options that only include buttons for visit, share, and save. As part of its statement following the change, Google pointed out that the move to drop the View Image button was carried out with publishers in mind. By forcing people to visit a site to access the image, publishers stand to benefit from the change as they generate more ad revenue. The update wasn't universally popular though, with plenty of people commenting on our story to express their outrage. Help is at hand though, as the appropriately named View Image Chrome extension re-implements the lost button. Watch it in action below. It's a quick and easy extension that returns Image Search to what you're used to. For some internet users the removal of the View Image button is only a mild inconvenience, but this extension makes sure that the muscle memory they've developed through years of grabbing images online doesn't go to waste. If you can't get this extension to work, there are plenty of other workarounds. Lots of people have been keen to remind Image Search users that the tried and tested right click and Open Image in New Tab option still works, and if all else fails there are (whisper it now) other search engines who can provide a similar service to what Google previously offered.